The TWS2500HD was an incredible cross collaborative effort. Our main intent was to create a product that exceeded the industry’s expectations and improved the operator’s experience. What we were able to achieve was a world class pump that completely redefines what it means to frac. 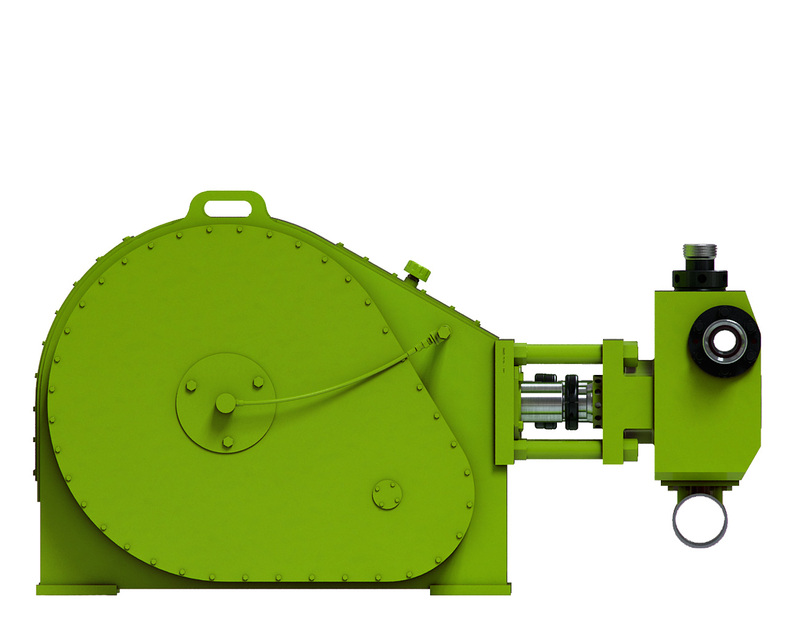 One of the TWS2500HD’s core features is the AGMA quality 11 gear sets that are synchronously timed and bolted to the crankshaft. 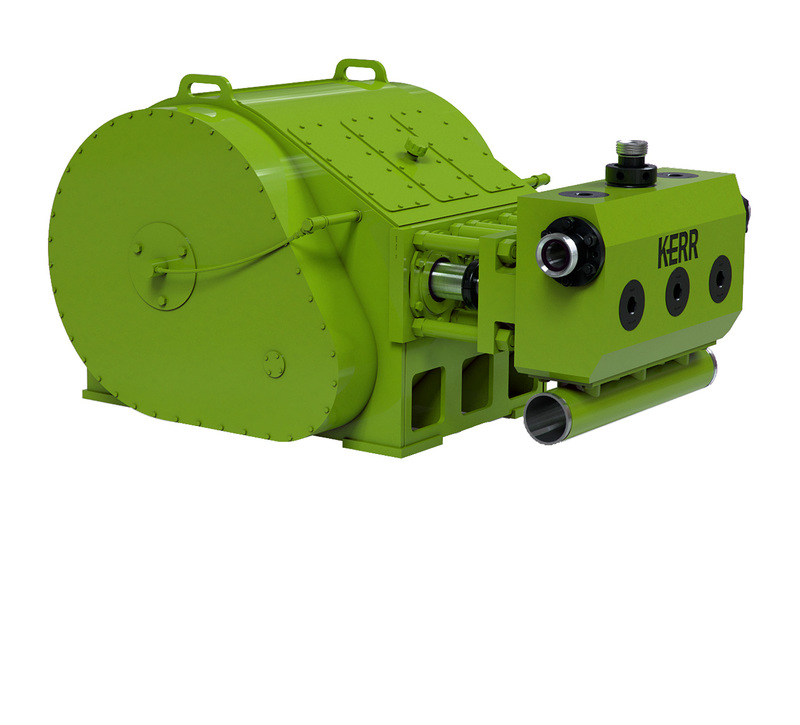 These high quality gear sets are made to hold up to the toughest hydraulic fracturing jobs. 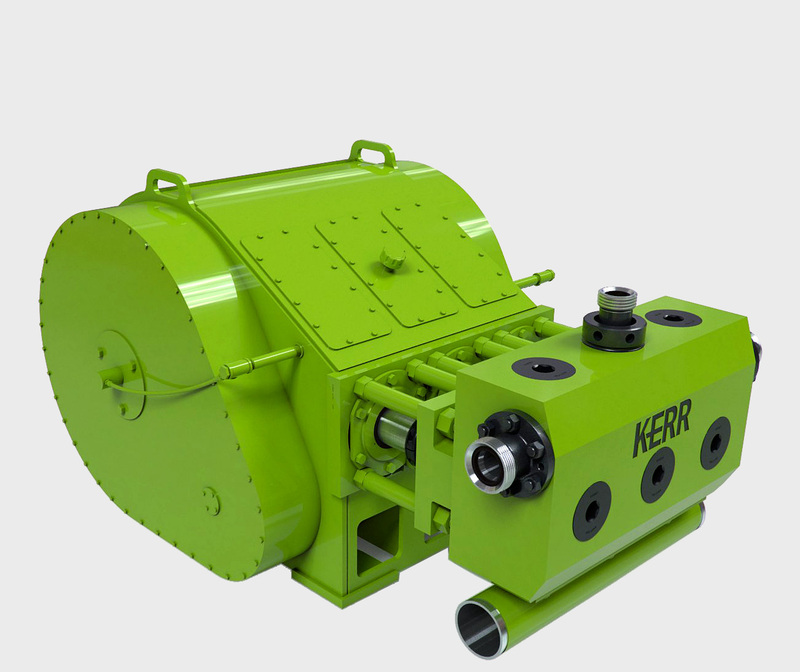 We made sure that the Kerr triplex frac pump was geared up and ready to go. The connecting rod bearing and crosshead thrush seat are both made from solid bronze, lightly babbitt lined to extend performance for both the crankshaft and connecting rod. Precision machined oil grooving dissipates heat across the face of each bearing which dramatically reduces friction. Our pony rods are ground and polished to a low RMS finish. Each pony rod is then carefully inspected and salt bath nitrided to prevent rusting. This additional step adds another level of protection and also improves the surface finish to help reduce friction and ensure optimum seal life. 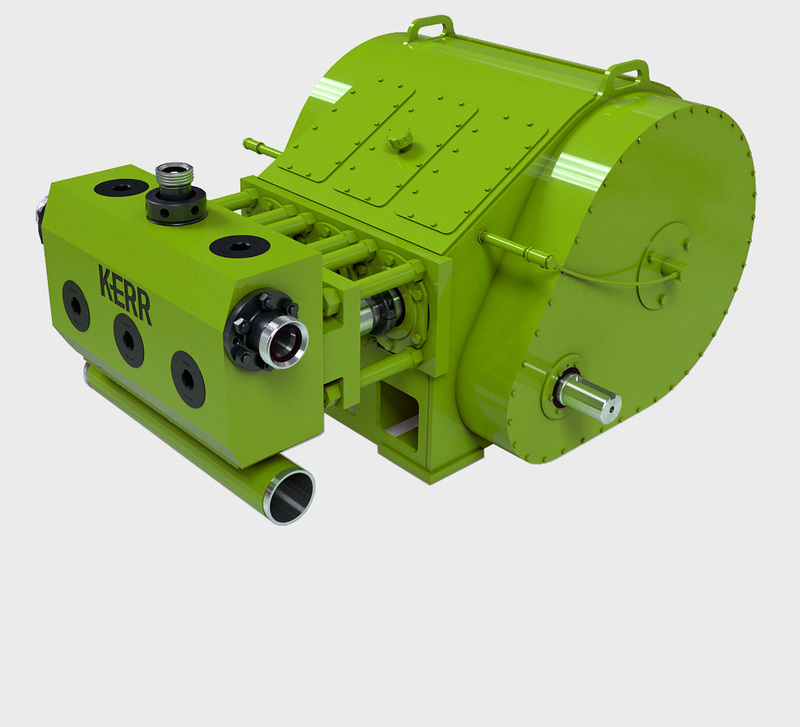 The connection between the pump power end and fluid end is absolutely essential. 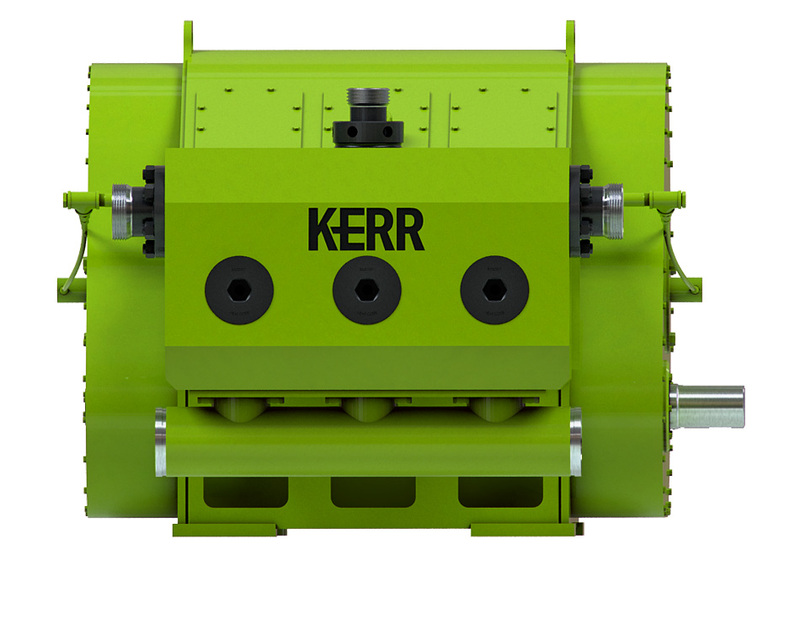 We have incorporated 1 ¾” torque indicating stay rods at this junction that allow you to set, check and maintain the correct torque values for the pump. 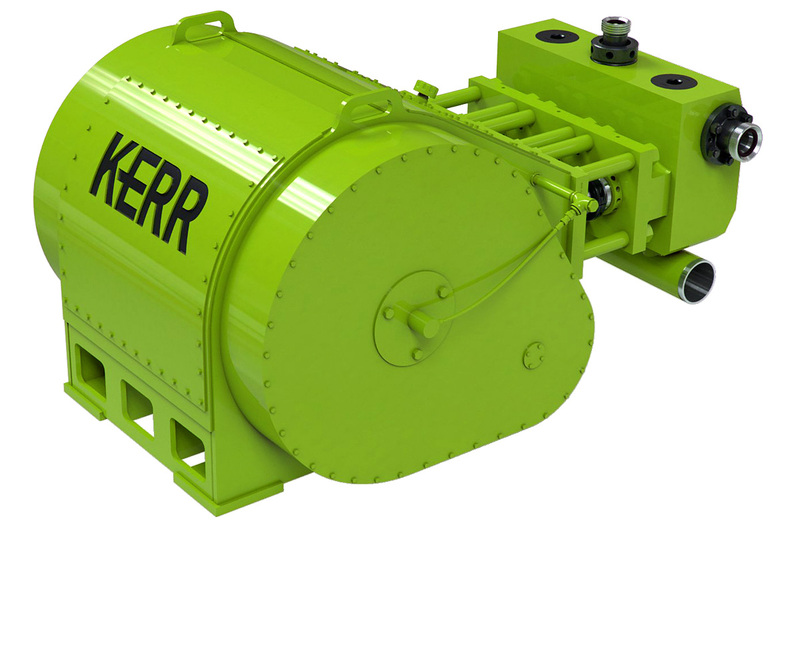 This value added feature comes standard with Kerr. We have been manufacturing fluid ends since 1946. 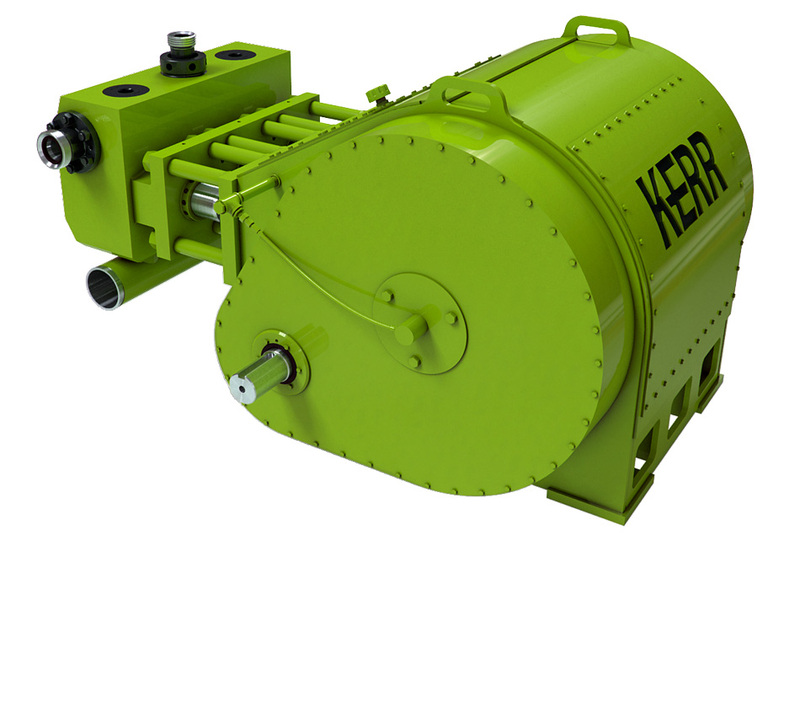 Since that time we have developed some of the most advanced processes developed by Kerr Pumps. These ever improving processes include specialized heat treating, advanced machining methods and incredible finishing techniques.